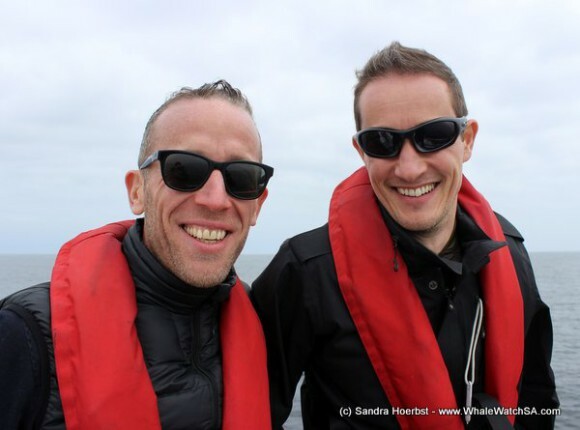 The sea was calm again but the sun was shining only on our last trip. 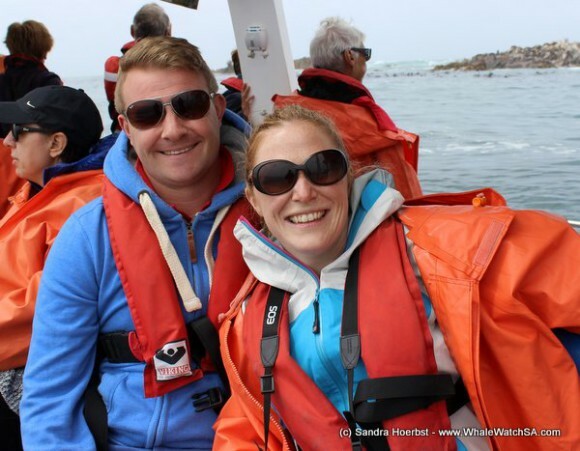 We had a fantastic day out at sea. 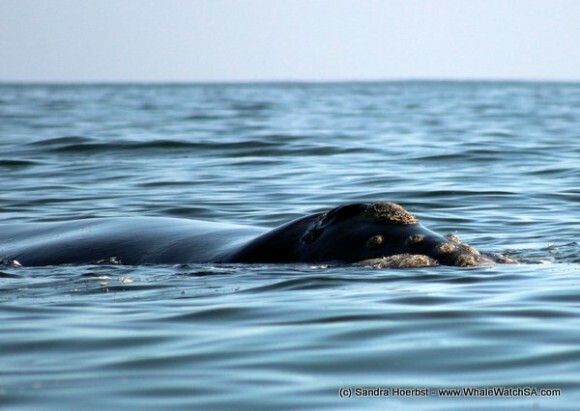 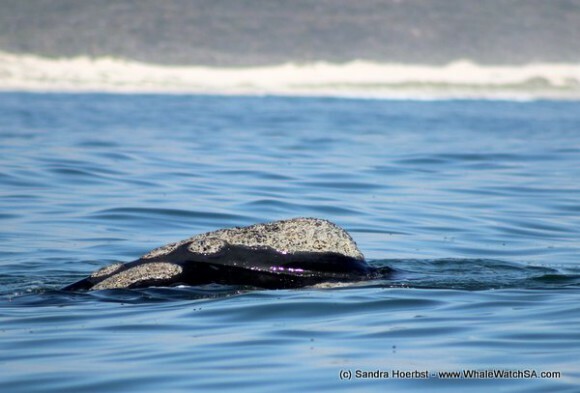 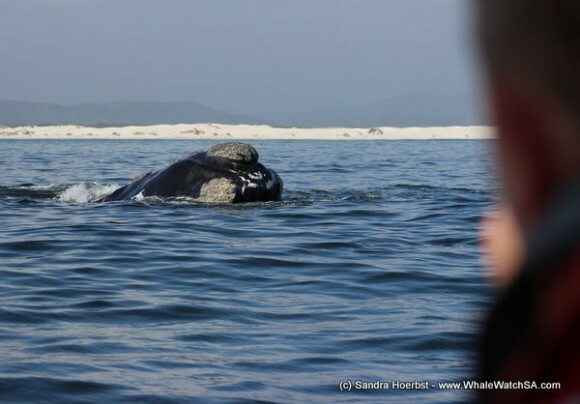 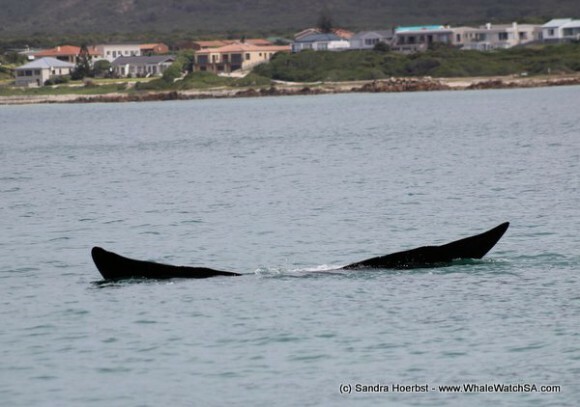 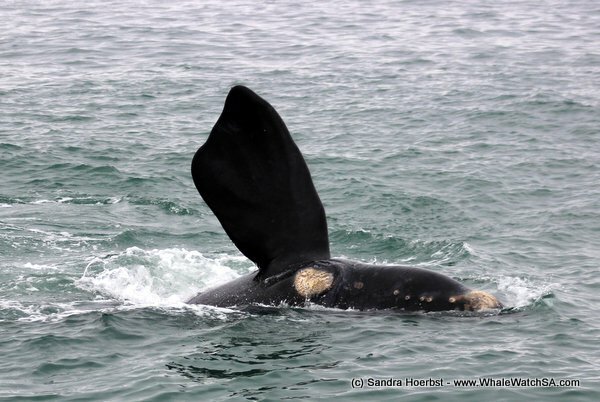 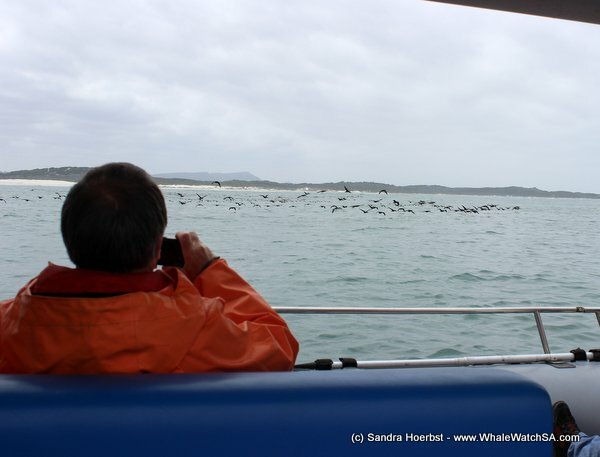 We spotted some Southern Right whales close to Uilenkraalsmond. The mothers were really relaxed with their calves today. 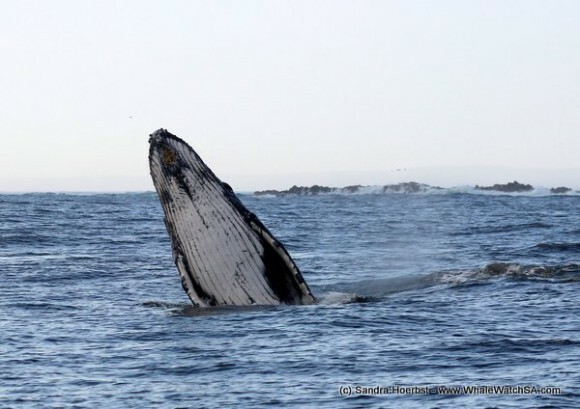 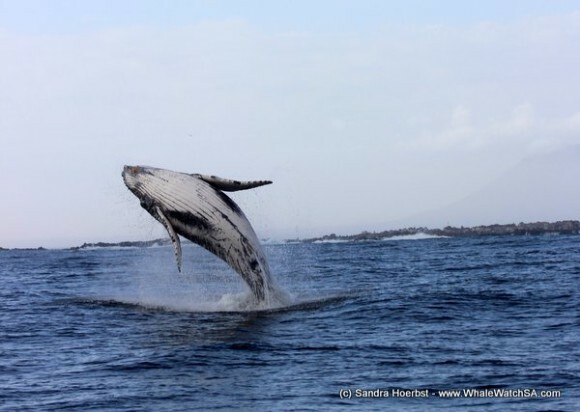 On the last three trips we were lucky and spotted some Humpback whales passing our bay. 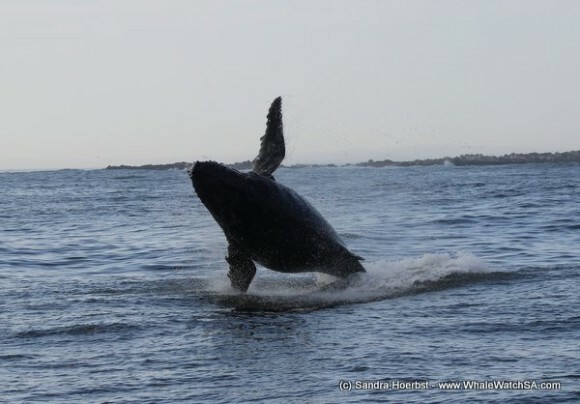 The whale watching today did end with a Humpback whale calf breaching behind Geyser Rock, how fantastic! 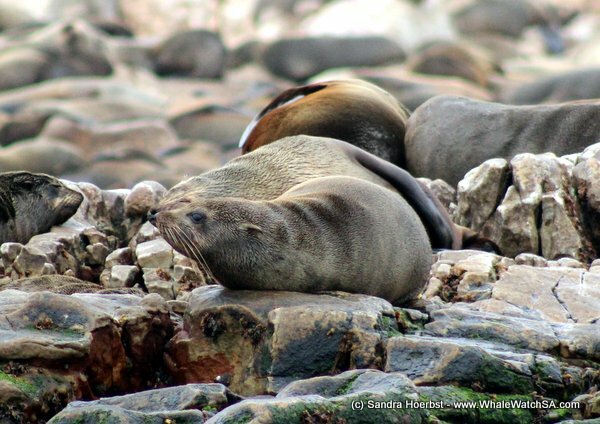 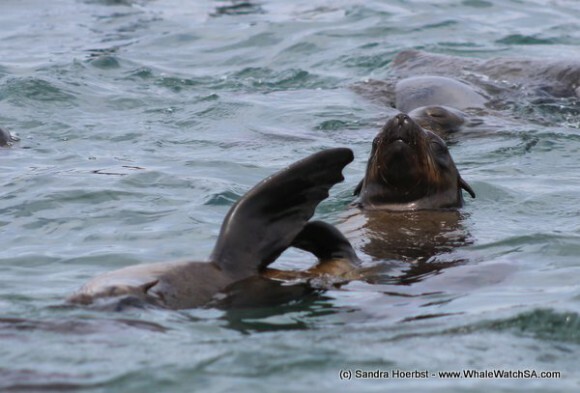 On the way back towards the harbour we cruised through Shark Alley to see all the Cape Fur seals on Geyser Rock. What a fabulous day with two different species of whales!